The addition of a third crude oil unit in the Beaumont refinery will increase its crude processing capacity by more than 65 per cent, and enhance the refinery’s position thereby establishing it as a leader in the U.S. refining industry. 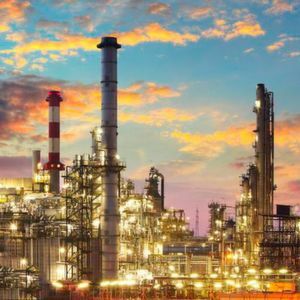 Texas/USA – Exxon Mobil recently announced that it has reached a final investment decision and started construction on a new unit at its Beaumont, Texas refinery that will increase crude refining capacity by more than 65 per cent, or 250,000 barrels per day. The third crude unit within the facility’s existing footprint will expand light crude oil refining, supported by the increased crude oil production in the Permian Basin. The new unit is anticipated to start by 2022. The project is expected to create up to 1,850 jobs during construction and between 40 and 60 permanent jobs once completed. Exxon Mobil had previously announced plans to build and expand manufacturing facilities in the U.S. Gulf region as part of its ‘Growing the Gulf’ initiative. Growing the Gulf projects include expansion of Beaumont’s polyethylene capacity by 65 per cent, a new unit in Beaumont that increases production of ultra-low sulfur fuels, and a new 1.5 million tonne peryear ethane cracker at the company’s integrated Baytown chemical and refining complex in Texas. Exxon Mobil and Sabic have also created a new joint venture to advance development of the Gulf Coast Growth Ventures project, a 1.8 million metric tonne ethane cracker currently planned for construction in San Patricio County, Texas.